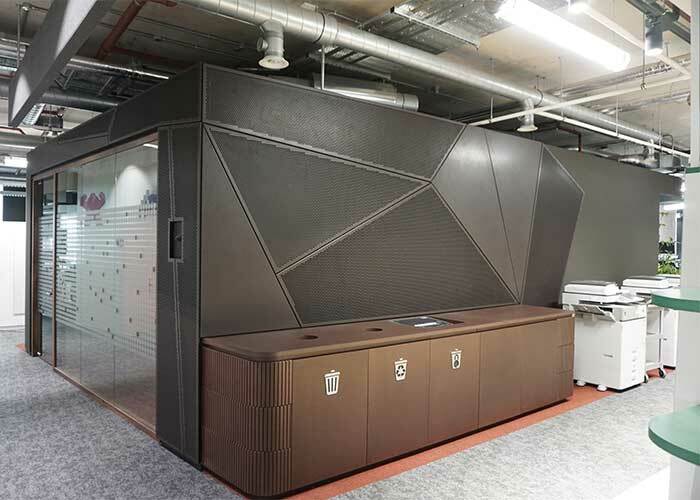 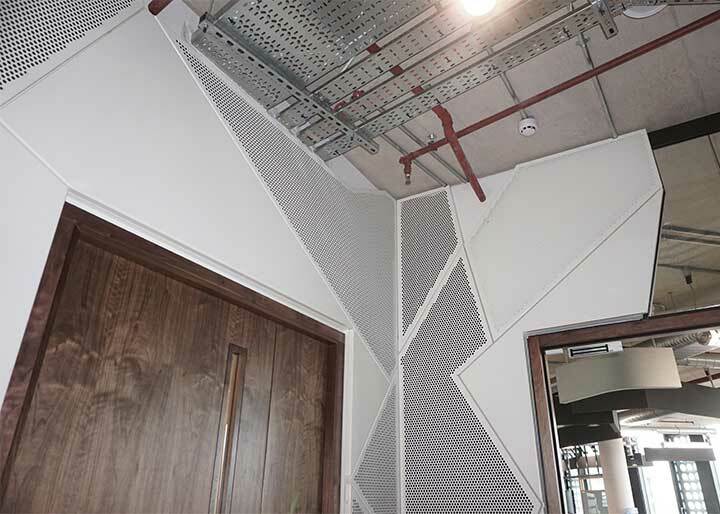 The perforated cladding pattern that identifies this new building on the Old Street Roundabout (where Capital One has its London offices) has been extended to the interior to soften an otherwise hard approach of concrete surfaces. 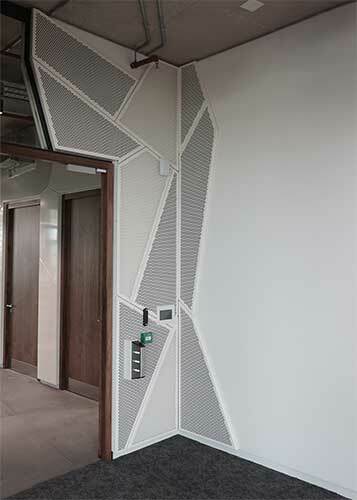 From the multifunctional entrance lobby that can be used for events by the different tenants to the lifts, restrooms and staircases a pattern of perforated metal accompanies a visitor with a common leitmotif. 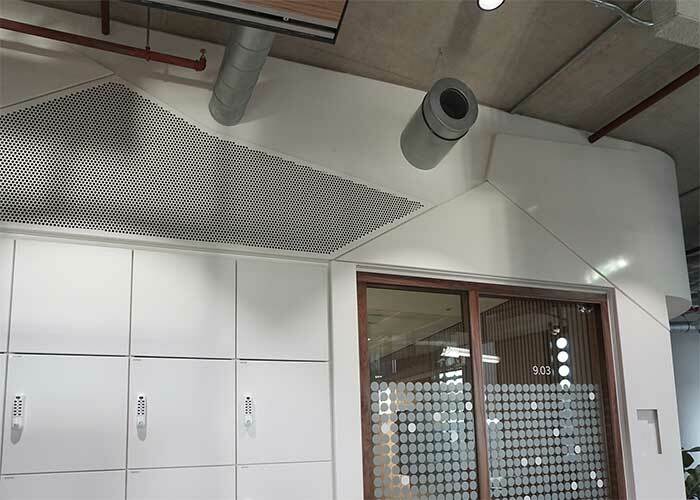 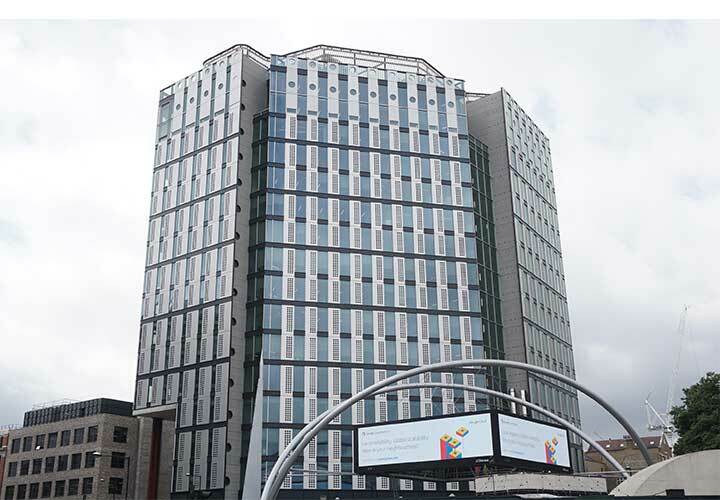 HLW has further exploited the theme with a design for a core cladding in 2mm aluminium sheeting with additional sound absorbing characteristics. 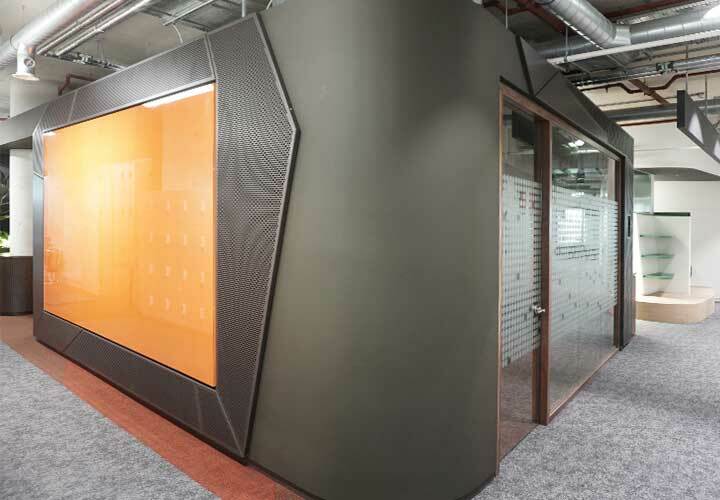 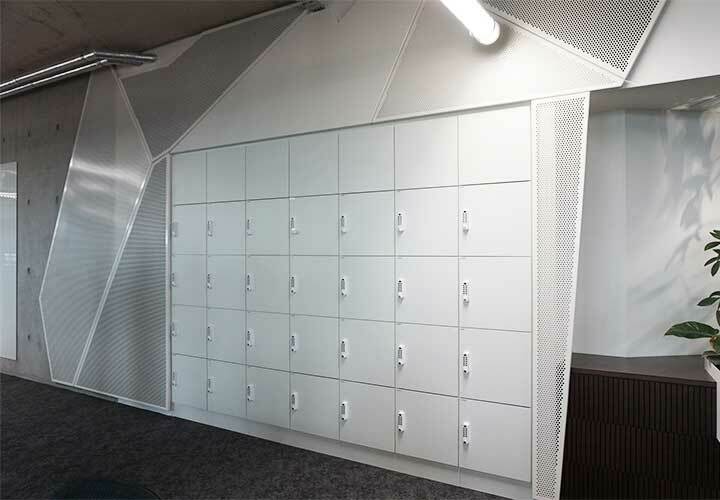 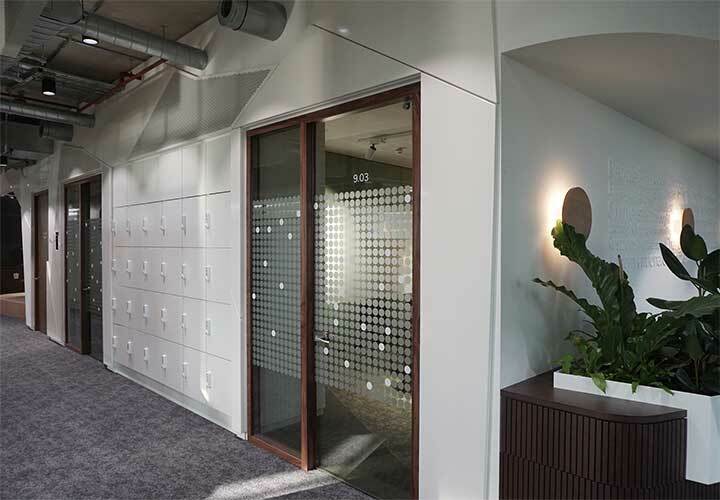 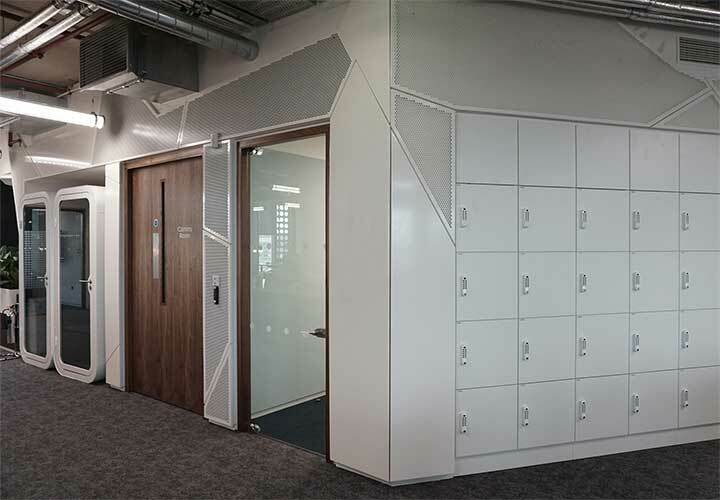 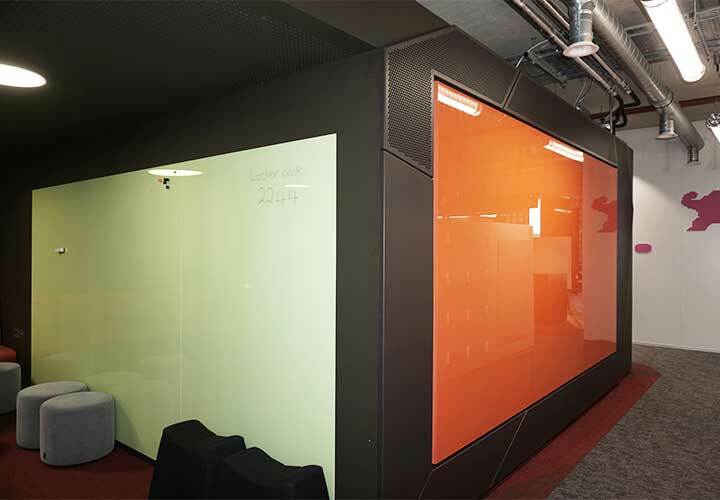 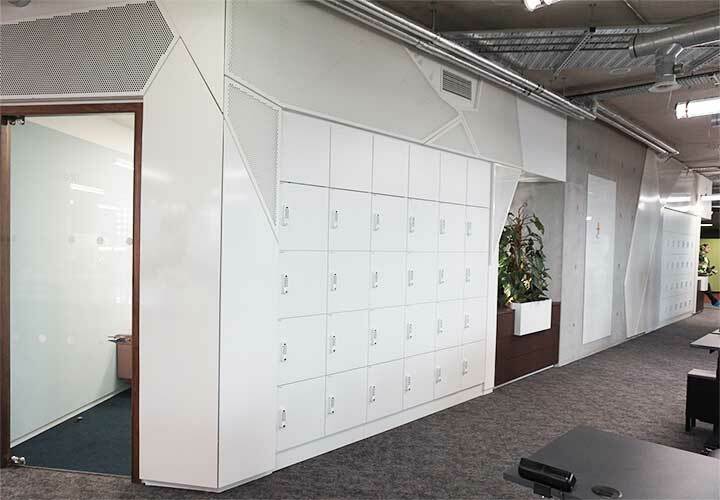 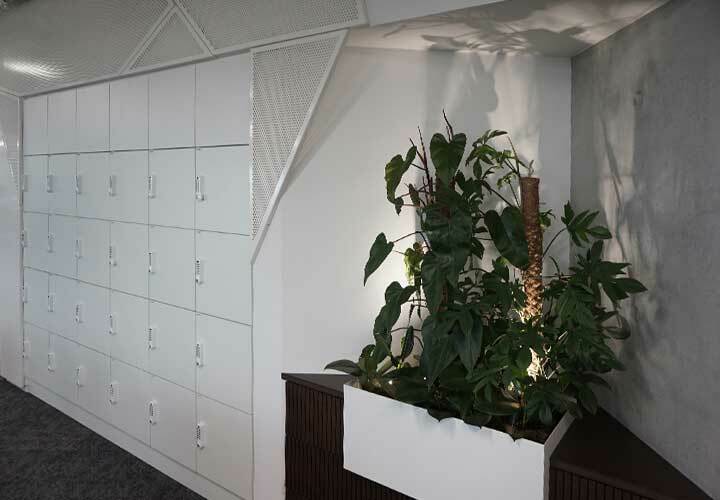 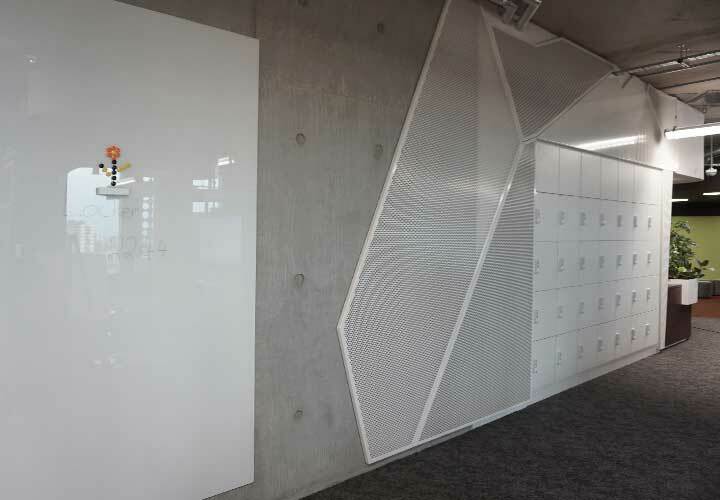 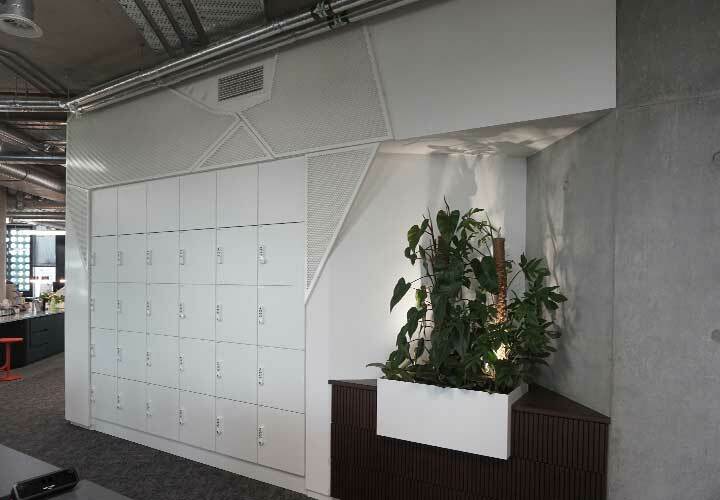 The group of panels are defined by two colours and with total, part or no perforation to intricate layouts and tight shadow gaps, related to other elements such as glass writing boards, planters, built in lockers, pods and partitions. 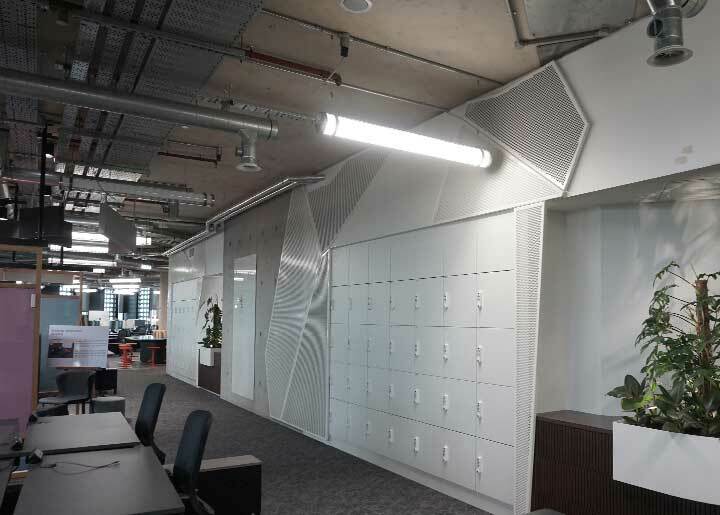 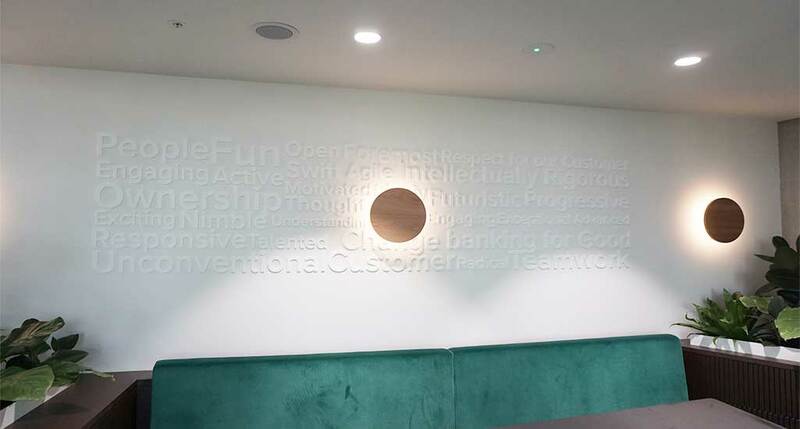 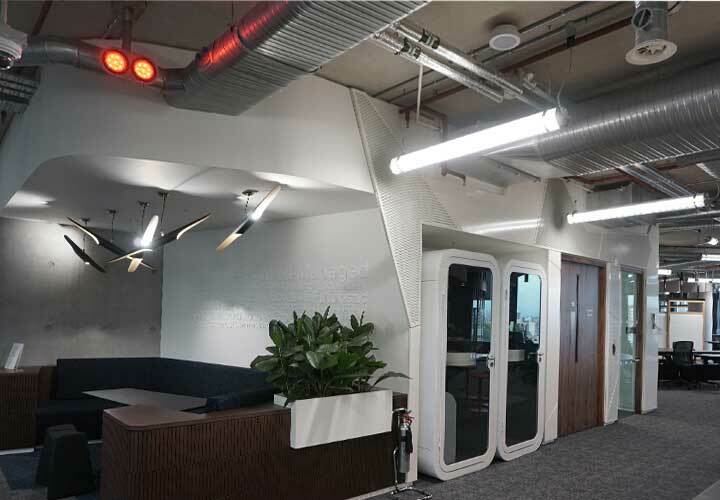 No two panels are the same to mark a random look, but each is carefully designed to interlock with adjacent ones and integrated with services.